The Terrytown route travels from the Oakdale Park and Ride to the the Wilty Terminal. 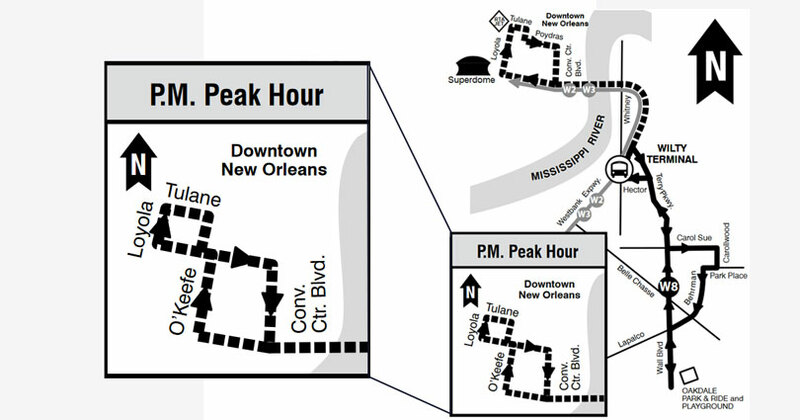 During peak hours, it also provides service from the Wilty Terminal to the New Orleans CBD. Fare: The fare for the Terrytown route is $1.50 and $2.00 downtown. The fareboxes will accept $1, $5, $10, $20 dollar bills and all U.S. coins. The fareboxes will provide change in the form of a value card that can be used for future fares.